Some people love the idea of being on the water, soaking up the sun on a warm summer’s day. Going to the beach is like a second home for them. 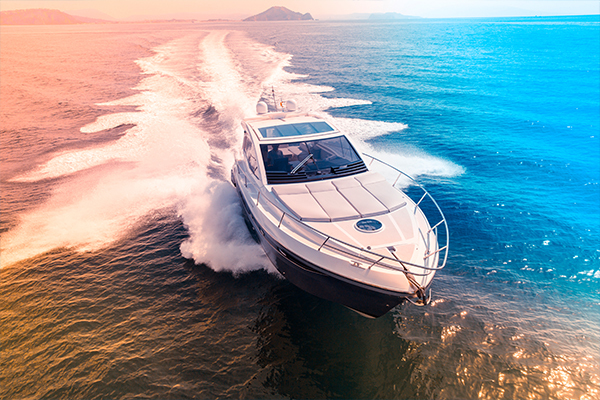 Those who are passionate about boating may be interested in buying a boat, but don’t know what to look for during a purchase. However, boating is not for everyone. There are multiple factors to think about before purchasing, like prices, insurance, maintenance and many others. But the experts here at FishingLicense.org have got you covered with all the information you need to know on what to look for when buying a boat and finding the right fit for you and your family. When on the hunt for the right boat, look for all the things you want in it. Do you want it to be new or used? What size do you want your boat to be? Do you want the boat to be fast for racing on the river bank or a medium speed for cruising on the lake? Do you imagine throwing parties on your yacht during holidays or docking by a beach for some rest and relaxation? Keep these things in mind while scrolling through a selection of boats. And if you like more than one, FishingLicense.org suggests narrowing down a list of your favorite boats and go from there. There are various places to choose from for the perfect boat. Do some research on places that have the best deals, brands and selection of boats on recommended websites. You can also visit boat shows, which are public exhibits that display different type of boats for sale for the public to purchase. They have new boats, old boats, classic boats and so much more! If there is a boat you are in love with and want to purchase, make sure you inspect it first. Check for leaks and cracks around the boat and ask if any prior collisions occurred. If there are any parts missing from the boat as a whole, seek out a marine surveyor, which is a professional that conducts inspections on vessels like boats. They will let the owner know if there are any issues with it. If you want a used boat, ask about its history and get a mechanic to take a look at it. They can fix any engine issues that the boat may have in its current condition. Also, if you want to know how fast it is, take it for a spin and see if the boat goes at the speed you want. Boats are not a cheap investment. Before purchasing, look for one that is within your price range FishingLicense.org suggests keeping other things in consideration as well like insurance, the upkeep of the boat over time and getting a warranty. Maybe some family members are skeptical about you getting a boat or think it’s a risky investment. Talk to them about it and listen to their concerns. Ask close friends and colleagues who own a boat what it’s been like for them and if their experience was a good or bad one. You want to get a boat, but you don’t know how to drive it? Yikes! The team here at FishingLicense.org recommend looking into Maritime Training programs and courses that will help change that. These courses will help you learn how to properly use and operate a boat and get you on your way to cruising on the water! Each person is different. Maybe getting a boat is something a person has been wanting most of his or her life, an idea that was well thought out and thoroughly planned. In this case, maybe it is a quicker choice for them. But the experts here at FishingLicense.org suggest not make a hasty decision when choosing a boat. Take as much time as you need in order to find the right fit and get an affordable choice for you and your family.